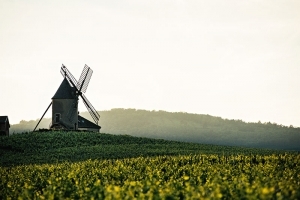 An emblematic estate since 1732, the Château du Moulin-à-Vent sits in the very heart of the appellation, 200 yards behind the 15th century-old windmill. 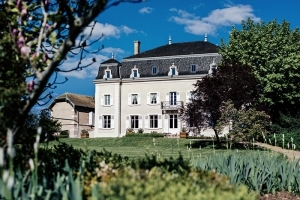 Formerly called the Château des Thorins, the estate changed its name when the AOC was born in 1936, but the Château still stands on the flagship terroir of the appellation: Les Thorins. In 1872, as Gevrey became Gevrey-Chambertin or Puligny became Puligny-Montrachet, etc., the village of Romanèche took the name of its most famous grand cru to become Romanèche-Thorins. Today, the family-owned estate has 74 acres of vineyards, exclusively in the Moulin-à-Vent appellation. The Parinet family, along with Brice Laffond, foster a strategy of excellence and a meticulous approach guided by the very identity of their exceptional terroirs.